Hello again! Long time no type. I’ve been home for about a week and a half and I haven’t got round to writing a blog post because hello, I got a cold on the flight home… Oh how typical. Thank you recycled air! But let’s move on from that. If you saw on my Instagram stories I spend just over 2 weeks in the most magical place in the world, spoiler: it wasn’t Toys R Us, and that place was of course Disney World in Orlando Florida. There was sunshine, happy people enjoying the sunshine and my all time favourite: strawberry lemonade! Now watch me sob that I’m back in the UK. 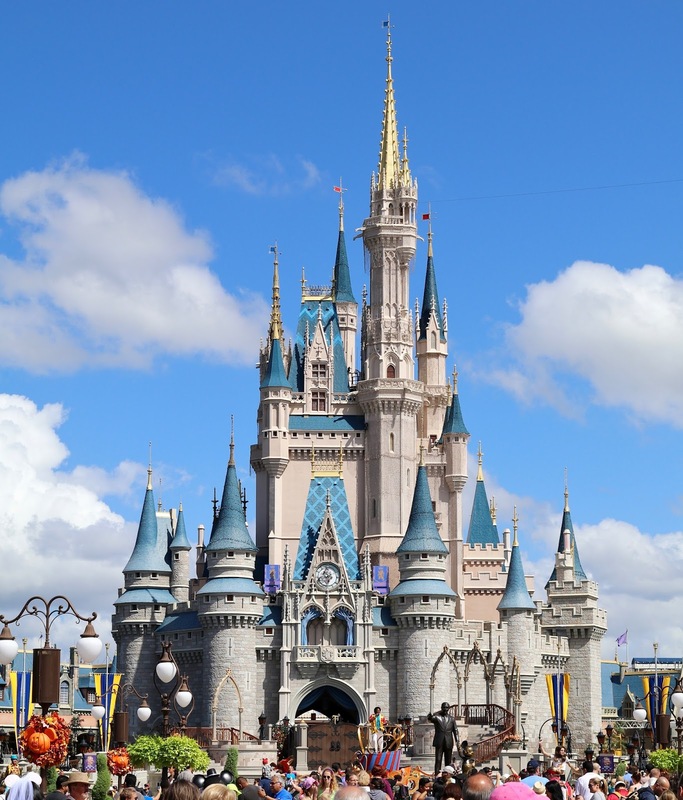 Before going away I thought about writing this post for all the Disney World newbies out there, you guys who have not visited Disney before, or perhaps you have done but it was years ago and you need a refresher in everything Disney – believe me A LOT has changed. 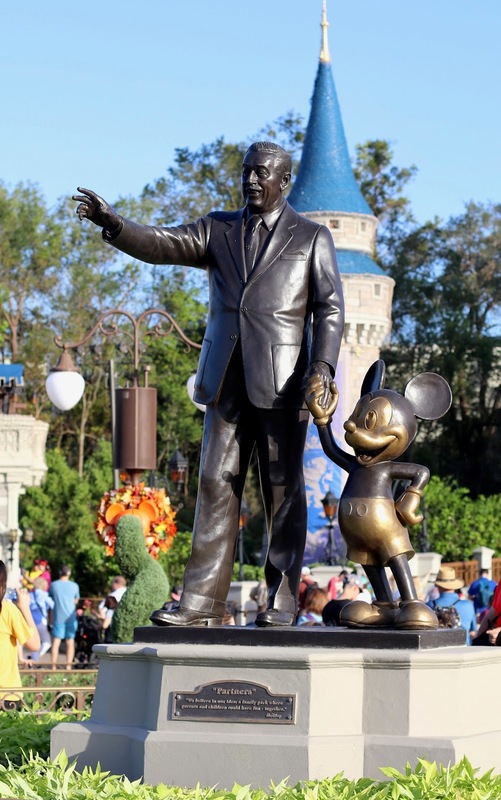 So buckle up, grab a pumpkin spice latte, and let me run through some of my top tips for planning your perfect Disney vacation in this guide to Walt Disney World. Write down the number of days you have, the amount of days you want to set a side for the parks, and potentially for shopping, but most importantly where you might like to eat – trust me you need to start thinking about this straight after you’ve booked your holiday, especially if you want to make reservations for some of most popular restaurants in Disney. Thinking about it in advance will let you think and rethink some of your ideas so you make the best use of your time, or as I like to call it: how you can cram everything you want to do in in the amount of time you have. Just make sure you have enough time to sleep. You need to consider the day of the week / season you’re going. Sounds silly, but there is an art to knowing when to go to certain parks, e.g. I try to avoid Magic Kingdom on weekends. Simple reason is that Florida residents will probably go at that time which means even more people will be heading to the park. Or, during the Epcot Food & Wine Festival I tended to hit that earlier in the afternoon seen as resident pass holders usually go there after work for a drink and nibble, or even their evening meal – I mean, who wouldn’t? Another big time is school holidays – stating the obvious I know, but sometimes this is unavoidable if you have children, but it’s always best to check when school holidays are where you are and in America, this way you might get a week where it’s less busy than usual. The My Disney Experience app is your new best friend for when you’re away. It can tell you queue times for every attraction, extra magic hours that a park might have on that day, and can even be used as a reminder to you if you have any reservations – whether they are dining reservations or fast passes (more on those in a minute). P.S: the Disney parks have wifi, so there’s no need to worry about being charged when using the app. If you already have one then make sure you put it in your suit case ready and waiting to go. If you’ve never heard of them then you better read up on them. In short: you can buy them almost everywhere in Disney and you need wear them every single day. They are your Disney life-line where you can link your park admission tickets and dining reservations to them via the My Disney Experience website; plus, an added bonus is you can book up fast passes and have them ready and waiting. Another great thing about them is that everyone in your party can be linked up via the Magic Bands on the My Disney Experience site, all you need to do is go to your account > my family and friend list > and then add a guest. This way your whole party can be synced up with reservations and you don’t have to tell each person what the plans are. For more information about Magic Bands visit the Disney website here. Fast passes are like queue jumping tickets that get you on attractions very quickly compared to having to wait in a 45 minute queue. But there’s a few catches: you can only book in a maximum of 3 a day, they have to be for the same park, and they have to start after the previous fast pass has expired (a fast pass lasts for 1 hour after the allotted time). So for example you can’t book up 2 fast passes for Animal Kingdom and 1 for Epcot, or get 3 fast passes for Magic Kingdom at 11am, 11.30am and 12pm. Sadly you need to wait for the previous fast pass to finish before using another. Attraction Fast Passes: 9am Seven Dwarfs Mine Train, 10.05am Splash Mountain, and 11.30am It’s A Small World. Another thing to note is that you can book up fast passes either 60 or 30 days before your holiday, depending where you are staying. If you are staying at a Disney hotel you can book the up 60 days before, and all other hotels can book them 30 days prior. However don’t use this as a decision maker for which hotel you pick. I stay at hotels outside the main Disney area and I still get great fast passes for most attractions at a variety of times. Plus I was told that more fast passes are released on the day for most rides, and sometimes fast passes are cancelled 24+hrs before because people either change their minds or realise they can’t use them. So make sure you keep checking. By the way you can also do this on the app! 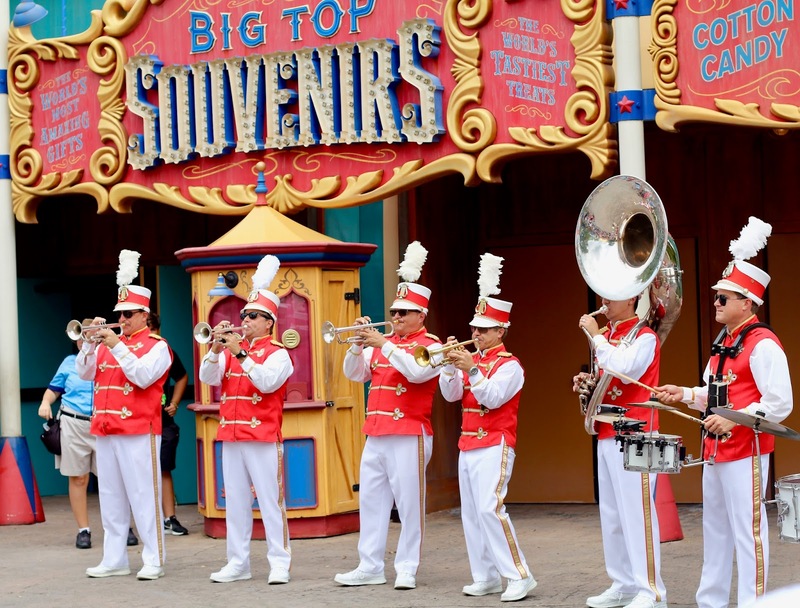 For more information about the must-have fast passes check out my post here. There are two ways to dine in Disney, you can either go with the flow and dine where ever you like, or you could use the Disney dining plan. I myself have never used this because I don’t think it would work for me, but it’s great for families or travellers who like to pay an upfront cost and not have to worry about paying for food. Seen as I’m not the expert on the Disney dining plan I’d recommend you look at the Disney website here for more information, prices and how you could get it for free in 2018! I hear so many people say “what’s in Disney Springs?” or “why should I go there when you’ve got the parks?”. WELL… Disney Springs – or Downtown Disney as it use to be called (I still call it that) is one of my favourite things about Disney, and is very underrated. Imagine the perfect mix of shopping, restaurants, Disney-ness and entertainment and you’ll get Disney Springs. I’m planning on writing a whole post dedicated to Disney Springs so make sure you look out for it to see some recommendations. Whether you think you’re going to pack two outfits per day because you plan to go out for fancy dinners, or you’re a fashion blogger and you want to take beautiful shots – it doesn’t matter, pack sensible clothing because I guarantee you won’t want to ‘dress up’ for when you’re spending an entire day at one of the parks. You’ll get hot, sweaty and probably some blisters on your feet, and after the first few days you’ll worship your trainers and live in them for the rest of your trip. You’ll thank me for this one. I brought my Swell bottle to fill up with bottled water I bought from the supermarket so that I could keep it in my hotel room fridge and fill up the Swell bottle every morning with lovely cold water. The best part about this? It kept my water cold for most of the day, which was a blessing when you’re in 80-90˚ temperatures. If you’ve chosen to rent a car then skip to the next section, but if you’re in two minds about renting one, or you would like to know if there’s an easy way to get to and from the parks without a car then keep on reading. Check with your hotel if they have a Disney bus service, most of them do because it’s one of the best ways to get around – plus you don’t have to pay a hefty parking free, and the Disney buses are FREE. Yep, you read that correctly, going to the parks is easy-peasy and free. Hotels will usually have times for when the buses start in the morning and how many times they go to your hotel every hour. All you need to do is check where the bus is going and hop on the one you need. Another great thing is that there are Disney bus stops at every park that can take you back to your hotel, OR to a different park. Make sure you pick these up whenever you go to a park. The maps don’t usually change, unless there’s a special event on like Micky’s Not So Scary Halloween Party or Mickey’s Very Merry Christmas Party. However the time sheets change weekly, so make sure you keep up to date with them as they tell you the times of the shows and fireworks. Simply put: be prepared to queue. Whether it’s waiting in line for rides or getting in early for a prime spot for a parade or fireworks – yes this is a thing and if you want some good photos, or have a front row seat for the parades make sure you get comfy an hour or so before in the designated areas – these are usually lined out with masking tape by the cast members. If you’re flying with Virgin Atlantic you can go to Disney Springs to check in and drop off your bags from 8-8.30am. This might seem like a bit of effort but trust me it’s a game changer! I’ve been doing this for years and it makes the day your travelling back so much better. You don’t need to worry about your luggage being looked after by your hotel, or waiting around for ages because you had to check out of your hotel room but the taxi isn’t coming to pick you up for another 4 hours and your stuck in your hotel lobby with a pile of suitcases next to you. Instead you can drop off your luggage at their pop-up check in area where your luggage is weighed, tagged and put onto vans that head straight to the airport, and you are also checked in there so there’s no need to queue at the airport. Which basically means you have the rest of your day to chill by the pool, visit a park, or do what I did and go shopping one last time in Sephora *winks*. You can expect many more Disney posts heading this way over the next few months so stay tuned! Thanks for sharing ..Great info!